**Payment for a single ride with a Senior Clipper card or EZfare mobile ticketing app will be valid for 2 hours of FREE transfers across VTA buses and light rail. Seniors can pay cash for a single ride on bus or light rail. Passengers can also pre-pay using the Senior Clipper card or the EZfare mobile application. Persons who are 65 and over can get Senior Clipper card that can be loaded with a Senior Monthly Pass or Clipper cash value. The cash value can be used to pay for single rides as needed or earn a Day Pass through the Day Pass Accumulator feature. Passengers can load value to their Senior Clipper Card at a variety of locations including any Walgreens store and any VTA Light Rail ticket vending machine. 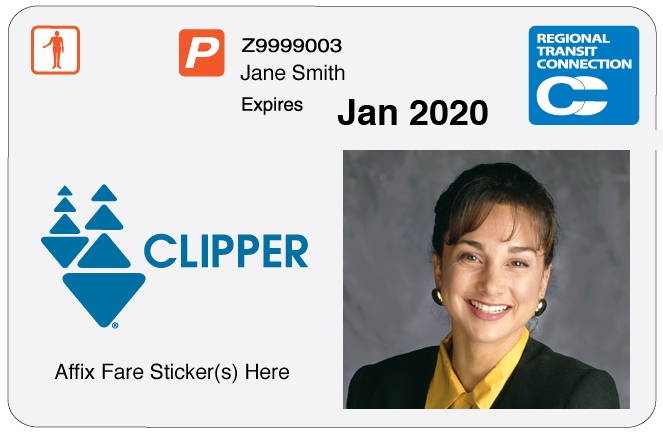 To obtain a Senior Clipper card, passengers can apply for a card at our Downtown Customer Service Center or the River Oaks Administrative office. Passengers may also email, mail or fax the Senior Clipper application to Clipper. Seniors who qualify to travel with an attendant at the discounted rate must use a Regional Transit Connection (RTC) card. Passengers can apply for the RTC card at our Downtown Customer Service Center or the River Oaks Administrative office. VTA's EZfare Mobile Application lets passengers purchase and use special event passes, day passes, and single ride fares instantly on their smartphone.